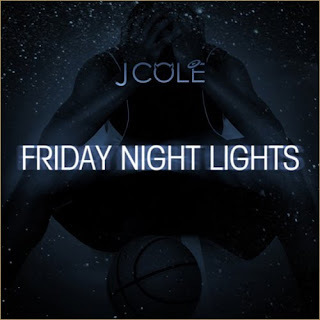 J COLE COMES OUT WITH WHAT SOUNDS LIKE ANOTHER TIMELESS MIXTAPE. IN GROWING ANTICIPATION FOR HIS DEBUT ALBUM, HE TEASES HIS FANS WITH MORE HOT FLOWS, CATCHY OLD SCHOOL HOOKS, AND EVERYDAY STORIES. WITH CLEVER WORDPLAY LIKE THIS ONE HAS TO WONDER; WHY ISN'T HE ON EVERYBODY'S SONGS RIGHT NOW?!? FRIDAY NIGHT LIGHTS IS CARROTS FOR THE PEOPLE.